Sandal is well known for its rich aroma and medicinal properties. 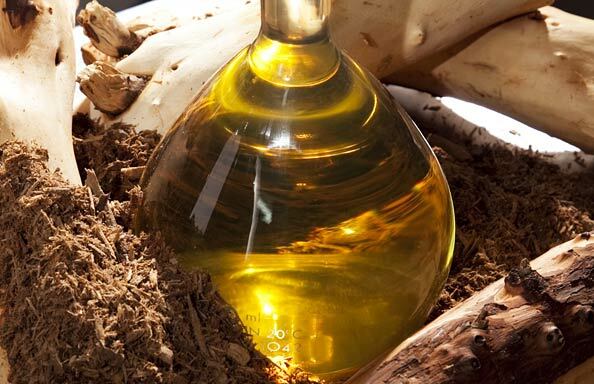 Sandalwood oil extracted from its wood is widely used for medicinal purposes, beauty therapies and in various rituals. It is of great benefit for your skin, health and hair. Sandalwood oil is very effective for curing infections of the skin and many people use it for this purpose. Applying this oil regularly on your skin can prevent various skin infections. Sandalwood essential oil is good for your skin no matter whether it is winter or summer. You can use it throughout the year. It is not sticky and therefore it is perfect for applying on the skin in summer. It is also good for treating itchy skin. It reduces the itching on the skin and has a soothing effect on the skin. This oil is also good for treating eczema effectively. Sandalwood oil is excellent for your skin and cleanses it from deep within. It has a soothing effect on your skin and is very relaxing. If your skin is suffering from eczema, spots or blemishes, or if there are ugly looking scars on your skin, apply this oil and you will find that they disappear fast. The oil also prevents the appearance of these problems again on your skin. It is a good astringent and tones your skin well, making it fresh and rejuvenated. If you have a dry skin, apply sandalwood oil and the skin will look hydrated and supple. Skin is the first to show signs of ageing. As we grow old, the skin also becomes old and starts to lose its elasticity, showing wrinkles and fine lines. It may also become dull and saggy. You get lots of anti-ageing products in the market, but they are very expensive and not affordable for all. Sandalwood oil is an excellent remedy for reducing the ageing of the skin and it is also affordable. If you start using this oil from the day you start noticing the first sign of ageing on your skin, you will get better results. But you can also use it afterwards and reduce the intensity of ageing. It can lighten and reduce the lines on the skin if you apply it regularly on the skin. Sandalwood oil also lightens the stretch marks and scars on the skin. The sedative property of sandalwood oil helps in calming your nervous system. It gets you relief from anxiety, stress, fear, fretfulness, agitation and so on, and as a result you will have a better vision and will be able to focus on things better. Sandalwood oil is great for increasing urination. This is because of its ability to reduce the soreness of your excretory system giving a cooling effect to the system. This increases the amount of urine as well as the frequency of urination, thus making the renal system healthy. You can give this oil to kids to keep them healthy. Having this oil keeps all the internal systems of the kids cool and provides a soothing effect. The anti-inflammatory properly of sandalwood oil is used for treating and getting relief from severe cases of internal inflammation. It is very soothing and relaxes you within a short time. Sandalwood essential oil has the power to cure soreness of the nervous system, including the brain, and also of the digestive system, circulatory system and the excretory system. If any infection is caused to these systems as a result of insect bite, antibiotic medicines, fever, toxic materials or injury, using sandalwood oil will cool the region and reduce inflammation. Sandalwood oil is known for its disinfectant property. The rich and unique aroma of this oil can chase away the insects, pests and microbes. Because of this property, it is an important ingredient in many of the insect repellents and pesticides as well as in the liquid used for making large areas infection free. You will get a skin free from infections by mixing a few drops of this sandalwood essential oil to your body lotion, body oil or your bathing water. Sandalwood oil is a great relief to those suffering from high blood pressure. This is because it is rich in hypotensive components. Have it with liquids like milk or water. This will keep your blood pressure under control. The aroma of sandalwood oil is very pleasant and soothing and this property makes it an important ingredient in many of the skin care products and deodorants, which help in preventing body odor. Sandalwood oil keeps you cool and fresh for a long period of time. Sandalwood oil also has antispasmodic properties as it has the ability to relax muscles and provide a sedative effect. It can relax your muscle fibers, blood vessels and nerve fibers and thus control severe spasms. You also get relief from coughs, cramps, throbbing etc, which are caused by the acute contraction of the muscles, by using sandalwood essential oil. The antimicrobial property of sandalwood oil makes it an excellent antiseptic agent. If you have any injuries, boils, lesions or blemishes on the skin, apply this oil over it and it will prevent the skin from infection. In addition to using it externally, you can also use it internally. You can add a few drops of this oil to a glass of warm milk and have it regularly. This will protect your body from ulcer and also from infections that may take place in the gullet, throat, renal tracts or digestive tracts.